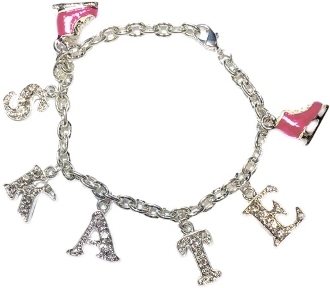 ChloeNoel figure Skate bracelet made with either blue or pink skate and skate lettering with crystals. Lobster claw clasp. Great gift for your skater!